Six years ago, while living “far from God”, I sensed His mighty hand bear weight upon my broken heart and soul. He was leading. The destination unknown to me. I joined the Navy SEALS believing it would change me. I believed I’d found life’s “greater purpose” that surely all men seek. The toil, sweat and blood; addicting. My job became to me like breathing. Rhythmic, necessary. 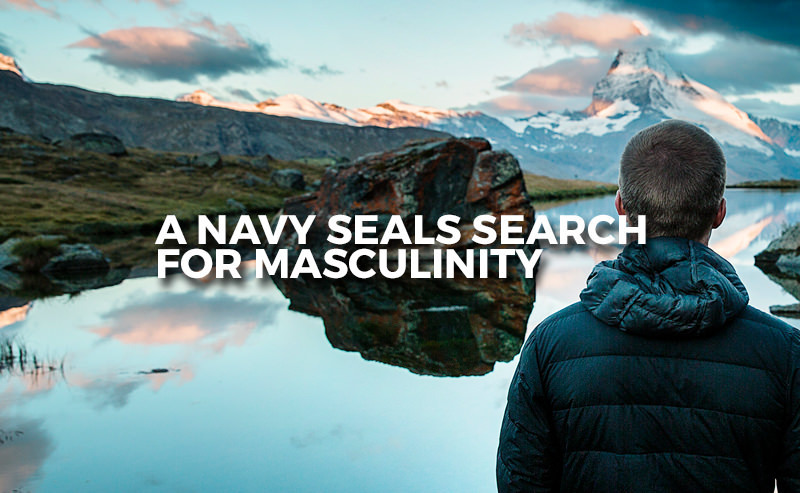 Years passed as I took on the persona of what I thought was expected of a Navy SEAL. My constant aim and goal? To be a “real man”. To live, at last, far from my guilt and doubt and constant failure. All I did was in service to this cause. The next five years of self-centered obsession at work and seeking pleasure at all cost brought only disappointment. All my striving ended always in “nothing”. I was left confused and depressed. One night, my closest friend and fellow teammate, in a place far from the temporary escapes afforded at home, delivered to me the verdict I’d so dreaded. The blows he inflicted in this act of true friendship were crippling. Someone was telling me all I feared most. To hear the long list of character flaws left me empty and disillusioned. The man I’d become was really no man at all. My selfishness had cost me relationships as I had repeatedly let down those closest to me. It was the darkest moment in my life. In that deep darkness, God, “being rich in mercy”, reached down, laid hold of me and drew me up from the miry pit. He rescued me because He delighted in me. The light of His great grace and mercy only shone brighter because of the deep darkness I was in. Hosea 2:15-18 says, “Therefore, I will lure her into the wilderness, where I will speak tenderly to her. I will give her her vineyard and make for her a door of hope in the valley of trouble”. I would’ve expected something extreme in my transformation. Warrior to warrior sort of thing. Never in a million years, though, did I expect to be seduced by God. He was drawing me into the wilderness. He didn’t come in violence to change the violent man I’d become. He isn’t like me. He is “Other”. He came to speak tenderly to me. To invite me into His Kingdom; into a love relationship. His unfailing mercy has been my guide in the pursuit of true manliness. The things of this world that once filled me up have been replaced by His presence. The verse that speaks, “In His presence is fullness of joy”. . . it’s true. Maybe according to some I reached the mountaintop of masculinity. But there was nothing to see when I got there except my own pride and insecurity. I had painted a false view, obstructing the reality of God, His Kingdom of light, and the gruesome beauty of the Cross. The call to manliness is not taking steps towards what the world has to offer, but rather towards the man Jesus. He is the ONLY one in the arena, the ONLY one whose face has been marred by dust and blood and sweat. The ONLY one whose name will never be with those cold and timid souls who neither know victory nor defeat because He defeated death on the cross and rose victorious for His glory. A glory we get to share in. He is the true and better man and our manhood can and only will be satisfied in Him. This article was written by one of our church members who wishes to remain anonymous.